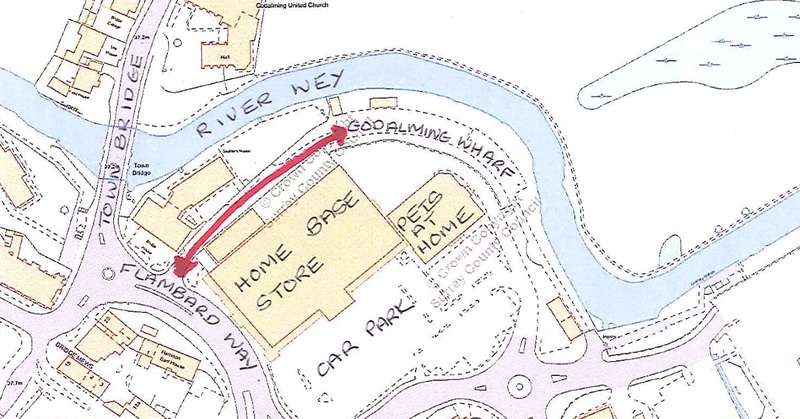 Many people think that the pathway from Flambard Way (behind Homebase) through to Godalming Wharf is a Public Right of Way, but it is under threat! Have you used this path? If so, we need your help. Please collect and return a User Evidence Form from the Godalming Town Council offices in Bridge Street (to the left of the post box by The Borough Hall), or download one by clicking here. Further information is available by calling 01483 523575.